Friends of Music is proud to present a leading string quartet from Austria on March 6. The Auner Quartet comprises Daniel Auner (1st violin); Barbara Auner (2nd violin); Nikita Gerkusov (viola), and Konstantin Zelenin (cello). The Auner Quartet is said to display ‘’stylistic confidence and willingness to impress with emotions”, and that “for all four of them - chamber music seems to be the essence of music itself". 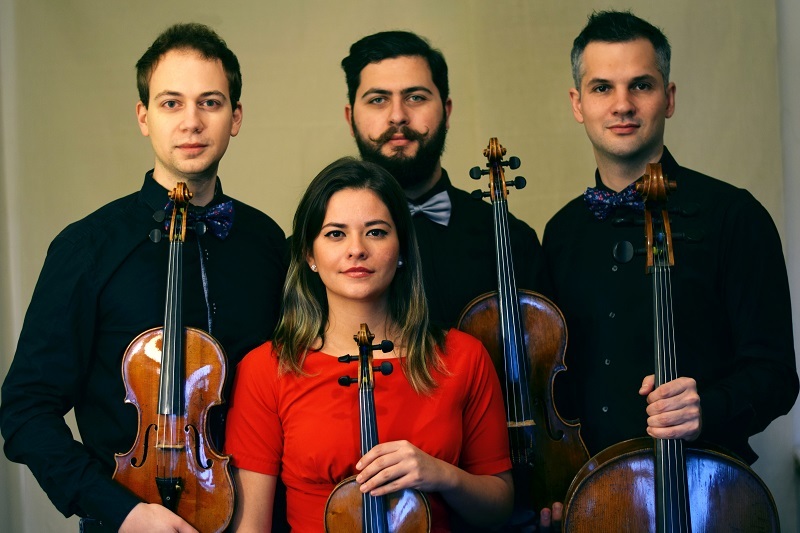 The Quartet, from Vienna, is rapidly gaining popularity and recognition in the world of chamber music. It was founded in the spring of 2013 by the four young artists who come from Austria, Brazil and Belarus, but share the same educational background. As passionate chamber musicians, independent from any contracts with orchestras, the quartet strives not only to explore the extensive quartet repertoire, but also to present their unique voice within the music. They bring refinement and prowess to both new and established repertoire. Their programme includes Beethoven’s String Quartet No. 4 in C Minor, Op. 18; Mozart’s String Quartet in D Major KV 136; Schubert’s Quartettsatz in C Minor and Johanna Doderer’s String Quartet Nr. 4 “Mattsee”. The Prelude Performer for the evening will be Dhenishta Mikaela Chetty (soprano) a 17-year-old matric pupil year at Maris Stella Girls School. She is a member of her school choir and the KZN Youth Choir. Her programme will include I Could Have Danced All Night from My Fair Lady by Frederick Loewe/ Alan Jay Lerner and Deh vieni non tardar from Le Nozze di Figaro by Wolfgang Amadeus Mozart. Her accompanist is Dana Hadjiev. Tickets R120 (R100 FOM members and R20 students R20) available at the door. The concert will take place on March 6 at 19h30 at the Durban Jewish Centre, 44 KE Masinga (Old Fort) Road, Durban. There is safe parking.